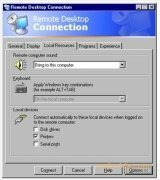 Remote desktop systems are one of the best solutions to help a user that doesn't know how to solve a problem or to access our home computer from work, for example. 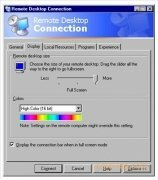 Microsoft has launched an application called Remote Desktop Connection, thanks to which it is possible to connect to a computer that uses the Windows XP Professional operating system, from another one that uses Windows 95, Windows 98, Windows Me, Windows NT 4.0, Windows 2000 or Windows 2003. 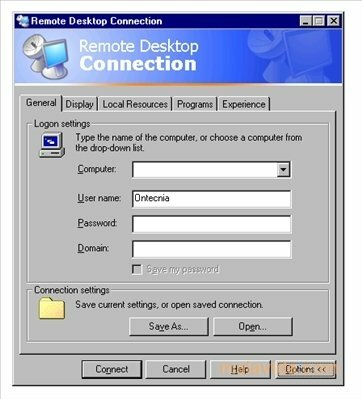 It's only necessary to activate the remote access functions on the computer that is going to be controlled remotely, install the application, configure the data of the PC that we are going to access, and in a matter of seconds we will be controlling the other computer. 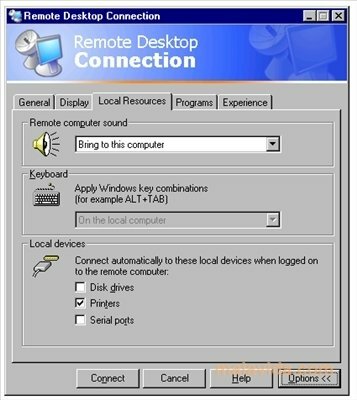 It will also be necessary to configure how we will view the remote desktop and the resources that we'll use to connect. 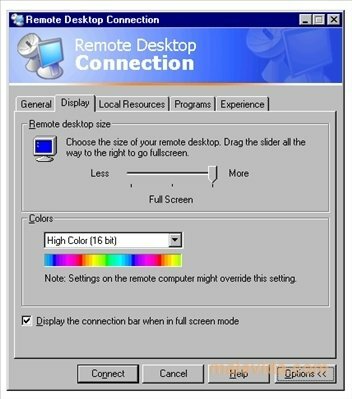 Once we have accessed the remote computer, we'll be able to use it as if we were in front of it, allowing us to launch applications, browse the Internet or play or copy any file. 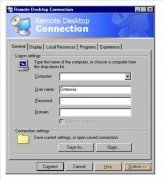 This download only works on Windows 95, Windows 98, Windows Me, Windows NT 4.0, Windows 2000 and Windows 2003.